This past December, the world of competitive sailing lost one of its greats when Danish Olympian Paul Elvstrøm died in his sleep at the age of 88 in Hellerup, Denmark. 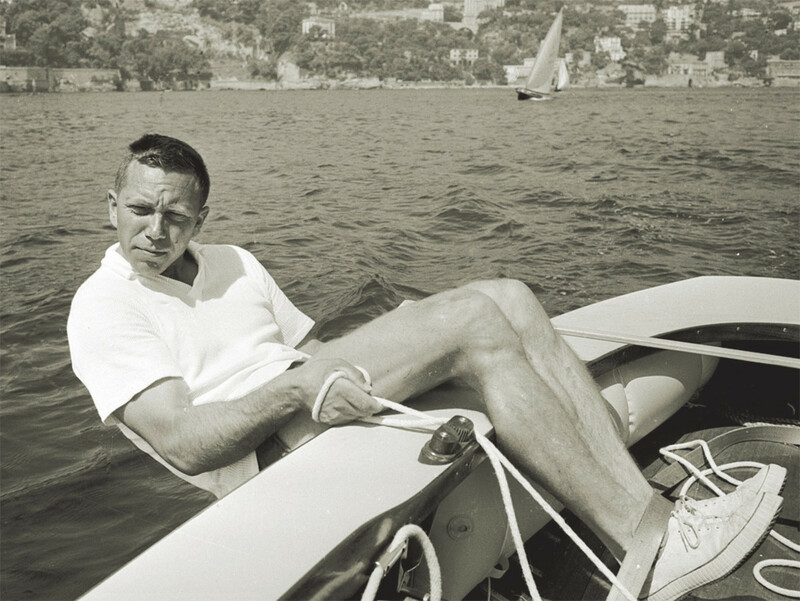 In addition to being the preeminent Olympic sailor of his generation, winning four consecutive gold medals in the Firefly and Finn classes between 1948 and 1960, Elvstrøm was a brilliant innovator in terms of both training and equipment. Among his many creations were his automatic bailers, which are still in use today, and the now ubiquitous hiking strap—which in turn prompted him to develop a rigorous exercise regimen designed to allow him to take full advantage of this device. He was also widely renowned for his cutting-edge sails. In 1996, Elvstrøm was honored as the “Danish Sportsman of the Century” in recognition of his accomplishments, and in 2007, Elvstrøm was among the first six inductees into the ISAF Sailing Hall of Fame.